As a sales leader, your job is to assemble and oversee a productive, efficient sales team that can achieve its revenue and profitability goals. But a common mistake that consistently gets in the way of this goal is a culture of discounting as a way of “winning” business. 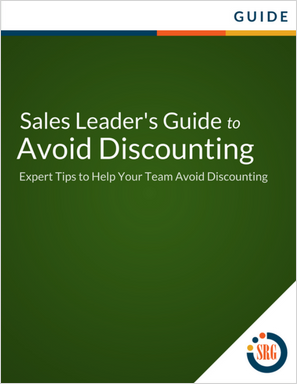 When discounting habits take root among your salespeople, the results are pervasive and damaging. How to discourage discounting habits. Key skills to close deals without offering discounts. Download now to access expert advice to coach your team to sell on value instead of price.